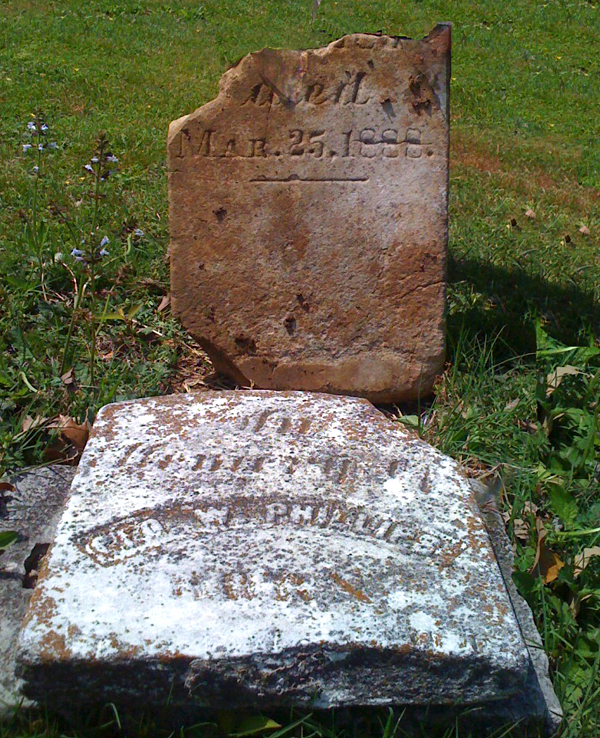 Gravestone of George W. Phillips who died 25 March 1888 in Batesville, Independence County, Arkansas. George was probably born in Rhode Island, moved to Illinois before 1860 and then moved in the mid 1870s to Arkansas with his daughter Lucy (Louisiana) and her family. The gravestone notes that he was born 4 April 1804 and died 25 March 1888. He is buried in Oaklawn Cemetery in Batesville, Lot 4, Block 1, Div. 8.